Abby the Librarian: AudioSynced - March Roundup! Well, it's the first of the month and you know what that means: it's time to find out what the book blogosphere has been listening to! Welcome to your AudioSynced Roundup! 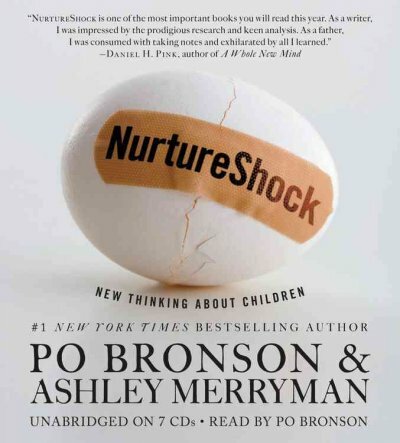 If you have a review of or post about audiobooks that I missed, feel free to leave a link in the comments and I'll update the links as needed. Confession: I actually didn't review an audiobook this month. What can I say? March was a crazy month. LUCKILY, book bloggers have stepped up and you'll find many great offerings here! Before we get into the reviews, I want to point you to the discussion going on at A Fuse #8 Production about Midwest Tape's audiobook covers. Does the cover art on an audiobook matter to you? Does it matter as much as on a print book? Also, Library Lea's been thinking about audiobooks lately. 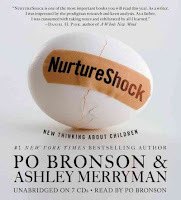 Carin of Caroline Bookbinder has reviews of Confessions of a Shopaholic by Sophie Kinsella (narrated by Emily Gray) and Nurtureshock: New Thinking About Children by Po Bronson and Ashley Merryman (read by Po Bronson). Lee of Reading with my Ears reviews Chasing the Devil's Tail by David Fulmer (narrated by Dion Graham) and The Language of Bees by Laurie R. King (narrated by Jenny Sterlin). My partner in crime, Kelly of Stacked, shares reviews of Zeitoun by Dave Eggers (narrated by Firdous Bamji), The Art of Racing in the Rain by Garth Stein (narrated by Christopher Evan Welch), and The Help by Kathryn Stockett (narrated by Cassandra Campbell, Octavia Spencer, Bahni Turpin, and Jenna Lamia). Over at Oops...Wrong Cookie, Joanna's got blurbs about A Drowned Maiden's Hair by Laura Amy Schlitz (narrated by Alma Cuervo) and The Red Blazer Girls by Michael Beil (narrated by Tai Alexandra Ricci). 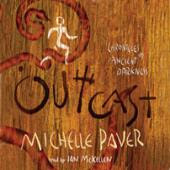 Lee at Reading With My Ears reviews The Perks of Being a Wallflower by Stephen Chbosky (narrated by Johnny Heller), The Islands of the Blessed by Nancy Farmer (narrated by Gerard Doyle), and Outcast by Michelle Paver (narrated by Sir Ian McKellen). Traveling Classics recommends the recording of The Merry Adventures of Robin Hood and they discuss a favorite reader, Maureen O'Brien. Mel of Mel's Books and Info reviews Thirteen Reasons Why by Jay Asher, narrated by Deborah Wiseman and Joel Johnstone. 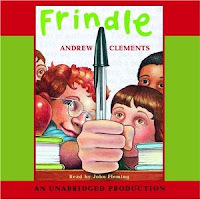 Amanda at A Patchwork of Books shares three audiobooks she enjoyed in March: Frindle by Andrew Clements (narrated by John Fleming), The Forest of Hands and Teeth by Carrie Ryan (narrated by Vane Millon), and Ella Enchanted by Gail Carson Levine (narrated by Eden Reigel). Mary Ann at Great Kids Books posts about Woods Runner by Gary Paulsen (narrated by Danny Campbell). Whew! I've just added a ton of books to my audiobook wishlist! Thanks, everyone, for posting about audiobooks and submitting your links to AudioSynced! If I missed anyone, please leave me a link in the comments and I'll update the links. If you didn't post about audiobooks this month (like, um, me), don't despair! 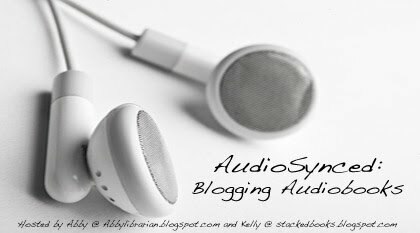 AudioSynced will be back next month - Kelly will host the next roundup on May 1 at Stacked! Thank you! I love that you and Kelly are doing this! Such a useful roundup! I've listened to some good stuff lately and will try to get some reviews up this month to submit for consideration of compilation. I had every intention of participating this month but it just hasn't quite happened! aargh! But it will next month :-) Thanks for the round up.